Radio 4’s Richard Coles is appearing at the festival in conversation with Nina Stibbe, author of the bestselling letter collecton Dear Nina. Rev Coles’ memoir Fathomless Riches has recently been published. “My favourite book is A Month In The Country by J L Carr. It’s the most perfect, lovely English novel,” he said. 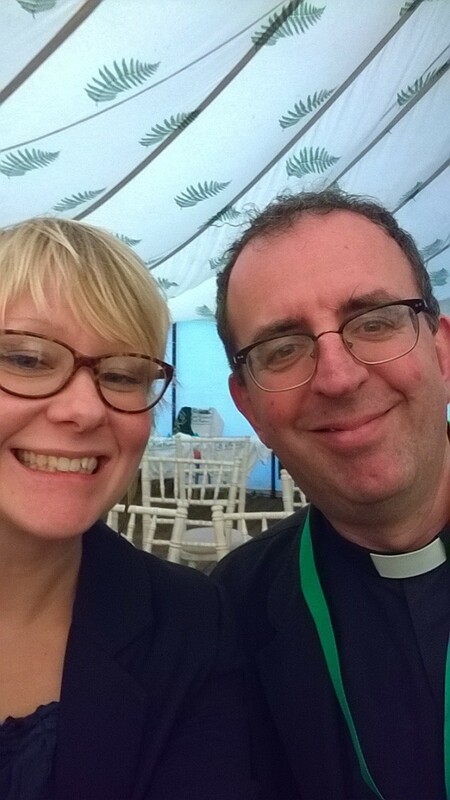 Anna Cathenka persuaded him into a selfie in the quite beautiful main marquee at the festival.